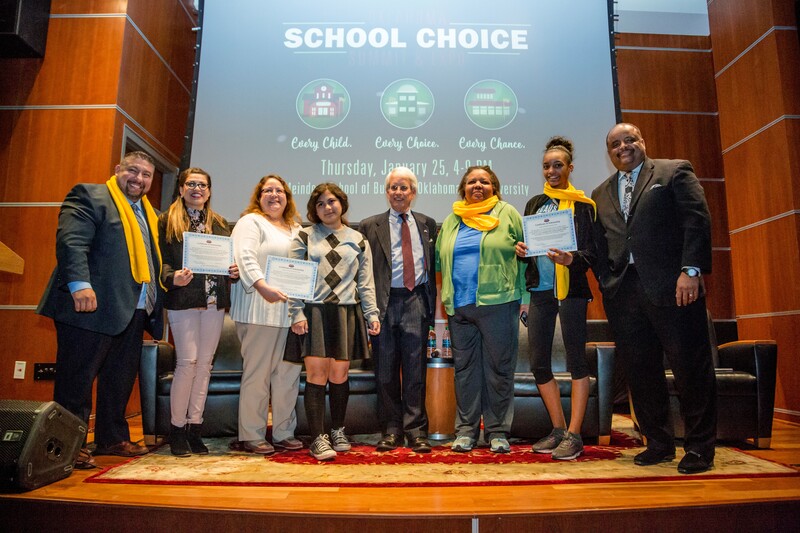 OKLAHOMA CITY (February 2, 2018) – Three Oklahoma families now have $15,000 scholarships for their child to attend an accredited OSF private school. The Opportunity Scholarship Fund (OSF), a scholarship granting organization for Oklahoma K-12 students, presented the scholarships at the Oklahoma School Choice Summit and Expo last week. Kristin Deras, Danielle Hernandez and Rashell Sey each won a scholarship for one of their children. OSF provided the scholarships to qualified students who want to attend one of OSF’s member schools. Each of the three scholarships will be worth up to $5,000 per year for up to three years. OSF administers tax-credit scholarships for 60 member schools across Oklahoma. Scholarships are funded through donations from individuals and businesses. Donors to OSF receive generous tax benefits, including state income tax credits and charitable contribution deductions. Learn more about OSF scholarships at www.osfkids.org.